Following last year’s success of 20th Century Fox’s Love, Simon, Disney is now working on developing a comedy series based on the movie, for Disney+. According to the Hollywood Reporter, the series will be based on Leah on the Offbeat, which is the second book in the series and it will have an all new cast. Love, Simon was based off the first book in the series, Simon vs. the Homo Sapiens Agenda. 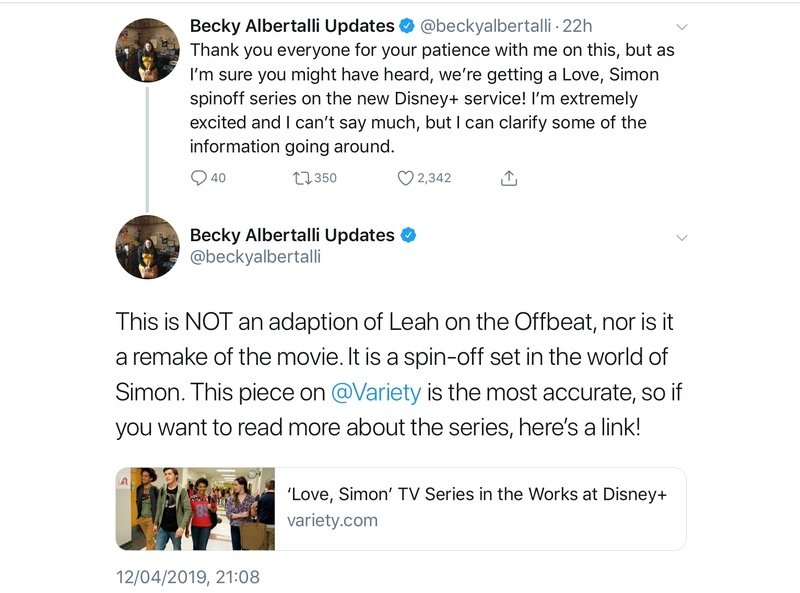 The author Becky Albertalli confirmed via Twitter that a series is coming, but also that it’s not a remake of the first movie or a adaption Of Leah On The Offbeat. The original movie told the story about how life is complicated for 17-year-old Simon who hasn’t told his family or friends he’s gay, and doesn’t know the identity of the anonymous classmate he’s fallen for online. Leah Burke is a drummer, usually on the beat drumming in the band Emoji. However, Leah has kept something from all of her friends, even from her openly gay best friend, Simon: she is bisexual. The only person to know about her sexuality is her mother, whom Leah is very close to. When her friend group starts to rock, Leah doesn’t know what to do, with prom and graduation coming up. In between her friends fighting and graduation, Leah then realizes she might like one of her friends more than she first thought. 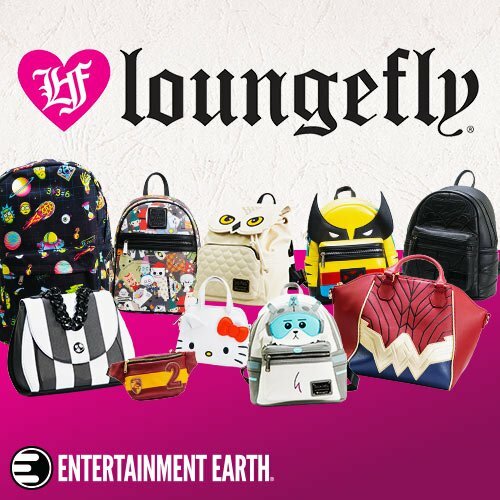 The series will be written by the original writing team behind the movie, Isaac Aptaker and Elizabeth Bergerm, who will also be acting as executive producers, along with Adam Fishbach and Isaac Klausner. Marty Bowen will be producing the series, who also worked on the movie. However the original movies director won’t be returning for the series. What do you think of a sequel/reboot of Love, Simon? « What Pixar Movies & Series Will Be On Disney+ ?